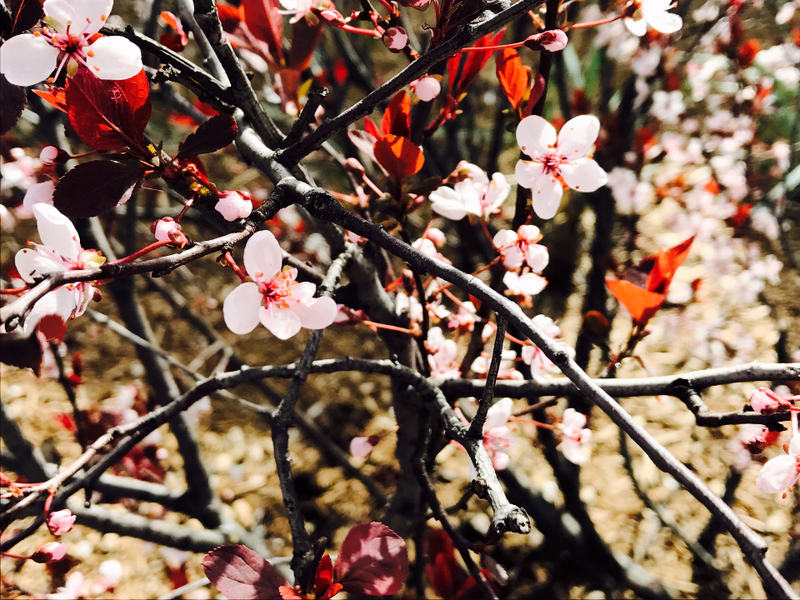 The following Cherry Blossom essay focuses on the play “Cherry Orchard.” It is populated by various actors: among them the main, secondary, and episodic ones. All of them speak, suffer, rejoice. Each hero has his or her own face, clothes, habits, age, social status. But there is one hero, on which very much depends, but this character is not even on the list of characters. The main invisible character in Chekhov’s plays, as in many of his other works, is the ruthless passage of time. On stage, the play “The Cherry Orchard” lasts about three hours. The characters live for this time five months of their lives. And the action of the play covers a more significant period of time, which includes the past, present, and future of Russia. “Time does not wait” – the words in the mouths of different characters sound repeatedly, as well as in the subtext of the play. Heroes of the play constantly feel the lack of time. There are a lot of time-related replicas in the play: “What time is it?” “There are forty-seven minutes left before the train!” “In twenty minutes we need to go to the station,” “In ten minutes, let’s get into the carriages.” And what about memory? Check out our “The Cherry Orchard” essay, which answers this question. How does memory and time is depicted in Chekhov’s “Cherry Blossom? The Cherry Orchard is one of the most famous plays written by Anton Chekhov, which addresses such important topics as the problem of memory and the transience of time. A lot of people consider the play to be a historical reference to the time when aristocracy was replaced by capitalism, but the main meaning laid by the author lies much deeper. Chekhov tried to show the reader that the most important things in life are a family memory and it can not be sold because time is fleeting and destroys even priceless values. The Cherry Orchard tells the story of a family that was forced to say goodbye to the family home because of debts and the author shows the importance of family values while telling this story. “Lyubov Ranevskaya is the owner of an estate who must sell her cherry orchard to pay off her creditors. Lopakhin, a merchant who wants to buy the orchard and cut it down to make lots for summer homes, represents the ascendancy of the new merchant class” (“Anton Chekhov – New World Encyclopedia”). These characters confront each other but not as an antagonist and protagonist, but as representatives of different generations. Both the aristocrat and the capitalist grew up in the same terrain, but they lived in different social estates and were taught different values. Lopakhin valued material goods as he grew up in the lower class and his only chance of success was only a merchant’s grip and a desire to earn money. For Ranevskaya, the father’s house meant much more than just tangible property that cost money. It was not just a cherry orchard; it embodied in itself all the memories and values that were kept by generations. Ranevskaya was desperate to save the house and the orchard, but she did not have the opportunity. Lopakhin suggested that she should let people rent the land, but the woman preferred to lose the house than to see how its values are crumbling. As a result, the house was bought by Lopakhin himself. The event of selling a house can be called a turning point in the play when the past is confronted with the present and inexorably flows into an uncertain future. It is significant that the daughter of Ranevskaya was the person who tells the news that the house was sold at auction. Ranevskaya’s daughter is seventeen years old, and she belongs to two generations, on the one hand, she is a member of the aristocracy, and on the other, because of her age, she can still become a part of the new time and a new order of things. The loss of the house and the cherry orchard brought great grief to the Ranevskaya family, and it may seem that they are longing because they lose their social position and their fortune. But the cherry orchard means much more; it embodies the historical and cultural values that they were supposed to protect. The sale of a cherry orchard to the capitalists who tear it to pieces and rent it out for planting vegetables means the loss of aesthetic and moral values. Time is fleeting, and only relics can stop it for a while and capture the grandeur of the past. All the things in the family house of Ranevsky had their own history. “This bookcase was made exactly a hundred years ago. We could celebrate its jubilee. It’s an inanimate object, but still, all the same, it’s a bookcase” (Chekhov, 19). The author tries to convey to the reader the idea that memory and moral values are more valuable than any money. Ranevskaya and her brother understand that they are losing not just their property, they lose their memories, they lose all that was good in their lives. Changing the usual order of things is always a difficult process for people, and for conservatives, it can turn into a tragedy. More often people prefer to deny change as the heroes of the play did. They tried to keep the usual order of things to the last moment, closing their eyes to how the past escapes, providing a place for a ruthless and cruel present. Three generations are represented in the play as well as three times in the final day of the sale of the house. A representative of the oldest generation is servant Firs, who is more than eighty years old, he recalls the times of serfdom with nostalgia and clings to the values of the past. Representatives of the middle generation are Ranevskaya and her brother, and they are shattered by the fact that they can lose their past and their history, so like Firs, they cling to the tiny bits of memories and pride that they have left. The representative of the youngest generation is Anya, as it was said earlier, Ranevskaya’s daughter has more opportunities to join the new generation and therefore her future is uncertain. It is worth noting that the orchard is not only a symbol of memory but also a symbol of the transience of time and the renewal of life. The orchard has seen many generations, and every year its leaves have also fallen off, and then it has all been reborn and yielded. The cherry orchard is also a symbol of ideals, the Ranevskaya family is not ready to accept the new ideals of the coming future, so they desperately cling to the old values that they are familiar with. In the play, it is not just a conflict of generations, but rather a clash of values and the need to take responsibility. Ranevskaya and her family could not preserve their heritage; they never took responsibility for the loss of their values. All they could do was silently observe how their familiar world is collapsing. This play is about the fact that a person is always in charge of his past, present, and future, for family values, for the house, for his memories, because he is the only one who can keep it. In conclusion, the play Cherry orchard is not just a story of accepting new values; it is a story about people who lost themselves in the clash of generations and lost what symbolized the memory of their past. Time in Chekhov’s play is fleeting and unstable, generations face the decisive day of selling a house when the past flows into the present, and the future for the Ranevskaya family remains uncertain. The cherry orchard symbolizes not just family values, but the importance of memory for every person and the importance of preserving these memories and cultural heritage, because in history lies the great power of generations. “Anton Chekhov – New World Encyclopedia.” Newworldencyclopedia.org. N.p., 2016. Web. 16 Jan. 2018. Chekhov, Anton. The Cherry Orchard. Theatre Communications Group, 2015. Print. If you like this sample, check out also other samples. If you worry about your writing assignments, leave them to WriteMyEssayOnline. Try our website that writes essay for you to get only high grades.